The latest technologies in front gate improvement and design are fantastically convenient. If you are experiencing any kind of malfunction or trouble with yours, having it seen to by a professional gate repair specialist doesn't have to be a difficult or expensive endeavor. 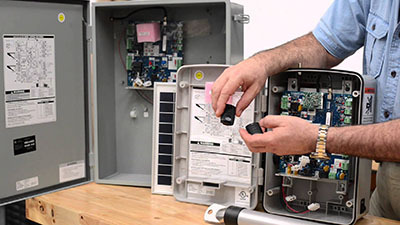 Most electrical malfunctions can be resolved by replacing only one or two small components, and are likely to take far less time than you imagine. Here are a couple of examples of hugely disruptive faults that can very easily be amended without much trouble at all. You may have been putting up with that slight or moderate crackle in your intercom for quite some time, but you shouldn't have to. Intercom interference can be caused by a number of different possibilities. Your unit may have been installed with poor grounding, which can be a common cause for static to become audible. Another common problem is a lack of sufficient power. We would perform a professional audit of your setup to pinpoint the issue, and ensure your intercom works perfectly every time it is activated. In many cases static and crackling can become worse over time, so it is often best to take action as soon as you notice it. Sometimes your current system just isn't right for your daily needs. If you think you need less disturbing ringing around the house, you might like the idea of a keypad installation. Keypads will only let in people that have a code, so only those you have invited are granted entry, without you having to buzz them in. If you have a traditional Intercom system and are not happy about having to answer two different rings and devices, you may like the idea of a telephone entry system (TES). A TES allows your intercom device to connect with a telephone number instead of its own channel. This way it is possible for all of your contact can be directed to one ring and one device. Garage Door Repair Lynnwood offers expert gate repair and maintenance services. Whether you have a malfunctioning automatic gate, faulty intercom or think you need a change of system, we have the expertise to help you. 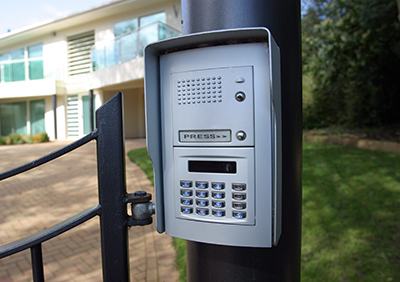 We can fix or install any design of gate or intercom unit as well as advise on the options that are best suited to your circumstances. Call us today for immediate professional advice or to arrange a call out.